Interested in Hearing Aids From Bernafon? Bernafon, a Swiss company, was founded in 1946, since then their commitment has been to deliver outstanding hearing aids. Bernafon became a sister company of Oticon after a buy out by William Demant. Bernafon has representatives and employees in over 70 countries. While Bernafon is a sister company to Oticon and they share some technology such as chipsets, Bernafon has designed very different strategies and features. Some of those strategies are unique, no other hearing aid brand does it in the same way. On this page, we are going to talk about the latest and best hearing aids from Bernafon and the features that make them outstanding solutions for people with hearing loss. Bernafon uses a system called DECS as the core of all of its strategy to help people hear better. Many of the hearing aid brands now use sound classification for specific sound situations. Those sound situations are the basis for what their hearing aids do in each sound situation. Bernafon does not believe that simple classification of several sound situations is enough because the world is not made up of a few sound situations. So the DECS™ system does not use hard classification boundaries. It works in frequently changing listening environments, resulting in dynamic and seamless amplification for the user at all times. In essence, that means that the Bernafon system looks at the world as it is and then makes constant changes to how the hearing aids work to deliver the best hearing ability. Zerena’s super-fast and powerful chip includes smart dual-radio wireless technology with 2.4 GHz direct-to-hearing-aid and NFMI ear-to-ear technology. Clients can enjoy direct-to-ear streaming without the need for an intermediate device when using an iPhone and can enjoy seamless communication between the two hearing instruments. Zerena offers a set of the very latest sophisticated features from Bernafon which provide seamless hearing. For example, their Dynamic Range Extender manages loud input sounds ensuring they are clear, undistorted but not overwhelming. Their Frequency Composition feature makes high-frequency sound information available to you even if you have no hearing in that area. Finally, the Adaptation Manager allows you to get accustomed to your new hearing aids at your own pace. Bernafon provides their hearing aids in three levels of technology in the Zerena range which they call the 9, the 7 and the 5. It is interesting how they distinguish features in those levels of technology. They actually retain a lot of the features across the three levels of technology, but there are differences in the number of channels in the devices and also the amount of customisation that a professional can undertake for you. I will try to explain them in clear and easy to understand language as we go. It is as it sounds, the system analyzes the sound environment continuously, Bernafon says it does so with high-speed and precision. or DNM™ effectively removes noise without adversely affecting speech. The system continuously endeavours to reduce noise while ensuring the speech signal is untouched. or DAC™ continuously measures the speech to noise ratios and directs the information to Dynamic Speech Processing™. In essence, the system carefully and continuously analyses the speech in noise signal and passes that info onto the speech processor. 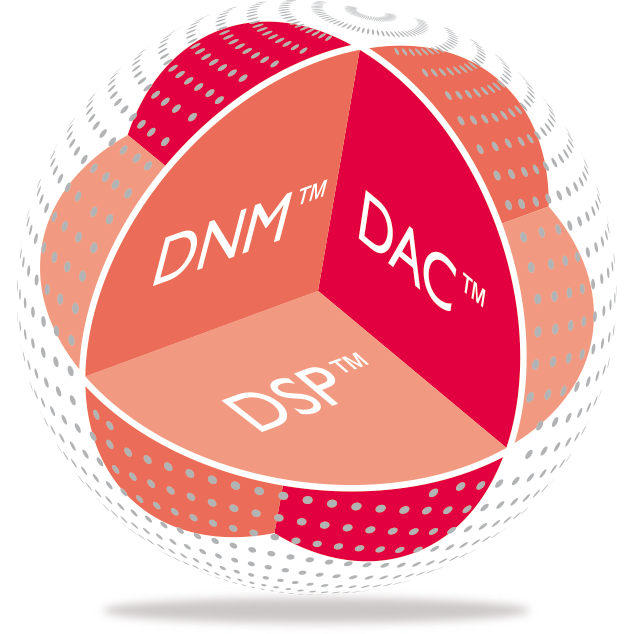 or DSP™ accurately amplifies the signal based on level and the dynamic environment information received from DAC™. In essence, the system always tries to ensure the speech signal is clear. We are focusing on the Zerena range on this page, it is the latest and most modern range of hearing aids from Bernafon. Having said that, the range is limited to just three hearing aid models across three levels of technology at the moment, but that is expected to change come the Summer with the introduction of custom hearing aids to the range. Let's take a look at what is available right now. The minRITE is a small receiver in the ear hearing aid that is suitable for hearing losses from the mild to severe. It can use four different speakers which means it is suitable for most hearing losses. As with the rest of the range, it has twin radios, one which is a Bluetooth radio and the other which is a proprietary Bernafon radio. The Bluetooth radio makes these hearing aids Made For iPhone, the proprietary radio is used for communication between the hearing aids which ensures settings and features are co-ordinated and act in a more effective manner. The hearing aid works on a 312 battery and it comes with a programme button. The minRITE rechargeable hearing aid is exactly the same as the miniRITE with the exception of rechargeability. It uses a ZPower silver Zinc rechargeable system which delivers a full day of use on an overnight charge. The ZPower system is such that if you forget to charge your hearing aids or if something happens, you can switch to normal hearing aid batteries without any issues. The minRITE T is again small receiver in the ear hearing aid that is suitable for hearing losses from the mild to severe. It can also use four different speakers which means it is suitable for most hearing losses. This hearing aid has three radios, one which is a Bluetooth radio, the proprietary Bernafon radio and a Tele-coil. The Bluetooth radio makes these hearing aids Made For iPhone, the proprietary radio is used for communication between the hearing aids which ensures settings and features are co-ordinated and act in a more effective manner and the Tele-coil receives broadcasts from a loop system (very handy). The hearing aid works on a 312 battery and it comes with a multi-functional button that also acts as a volume control. The BTE 105 is a traditional behind the ear hearing aid that is suitable for hearing losses from the mild to severe. It can be used with a slim tube or a traditional tube and mould. This hearing aid has three radios, one which is a Bluetooth radio, the proprietary Bernafon radio and a Tele-coil. The Bluetooth radio makes these hearing aids Made For iPhone, the proprietary radio is used for communication between the hearing aids which ensures settings and features are co-ordinated and act in a more effective manner and the Tele-coil receives broadcasts from a loop system (very handy). The hearing aid works on a 13 battery and it comes with a multi-functional button that also acts as a volume control. The Zerena 9 is the top level of technology in the Zerena range. It is packed with the pinnacle of Bernafon technology and can be expected to deliver high-quality hearing in even the most complex sound environments. As we have said, the Zerena 9 range is made up of just three hearing aid types at present although we expect that to change in the Summer of 2018. Here is what you need to know about the top level of hearing aid technology from Bernafon. allow the user to understand speech while still providing comfort even with sudden changes in the sound scene. Zerena achieves this with new technology called Dynamic Environment Control System™ or DECS™.